Looking at a map of current American military engagements overseas, one cannot help but notice their wide geographical spread and their seemingly interminable nature. Battles have raged in Europe (Yugoslavia and Ukraine), in Africa, in the Middle East, and in central Asia. The American Empire has launched this country into a series of battles that have no end in sight and no location that may not become a focal point of military force. These battles, each a war in its own right, have drawn in forces and resources from U.S. allies in Europe through NATO and even drawn in Japan. The scope of this war is global. In fact, one part of this war has been called the Global War on Terror. To understand this war and grasp its meaning, in the hope of bringing it to an end, a descriptive name is needed that tells us what this war is about. 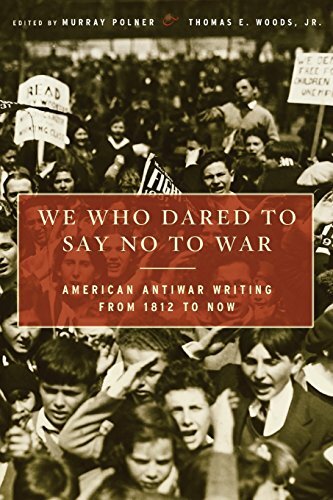 The name suggested We Who Dared to Say No... Best Price: $1.30 Buy New $6.08 (as of 06:20 EDT - Details) here is the “Great War of the American Empire”. Since World War I, another disastrous war that American joined, is called the Great War, we can refer to the Great War of the American Empire also as Great War II. Great War II comprises a number of sub-wars. The American Empire is the common element and the most important driver in all the sub-wars mentioned below. American involvement has never been necessary in these sub-wars, but the decisions to make them America’s business have come from the Empire’s leaders. The name “Great War of the American Empire” emphasizes the continuity of all the sub-wars to produce one Great War, and the responsibility of the American Empire in choosing to participate in and create this Great War. 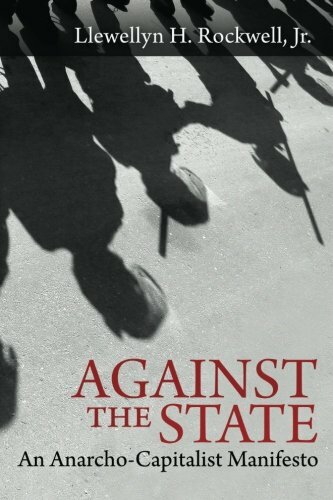 Had America’s leaders chosen Against the State: An ... Llewellyn H. Rockwell Jr. Best Price: $5.00 Buy New $9.30 (as of 10:25 EDT - Details) the radically different path of non-intervention and true defense of this continent, rather than overseas interventions, Great War II would not have occurred and not still be occurring. The Great War of the American Empire began 25 years ago. It began on August 2, 1990 with the Gulf War against Iraq and continues to the present. Earlier wars involving Israel and America sowed the seeds of this Great War. So did American involvements in Iran, the 1977-1979 Islamic Revolution in Iran, and the Iran-Iraq War (1980-1988). Even earlier American actions also set the stage, such as the recognition of Israel, the protection of Saudi Arabia as an oil supplier, the 1949 CIA involvement in the coup in Syria, and the American involvement in Lebanon in 1958. 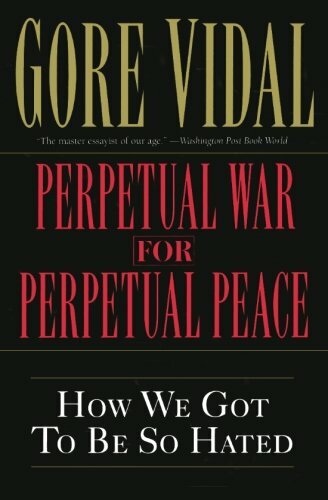 Poor (hostile) relations between the U.S. and Libya (1979-1986) also contributed to a major sub-war in what has turned out to Perpetual War for Perp... Gore Vidal Best Price: $1.80 Buy New $8.58 (as of 05:50 EDT - Details) be the Great War of the American Empire. The inception of Great War II may, if one likes, be moved back to 1988 and 1989 without objection because those years also saw the American Empire coming into its own in the invasion of Panama to dislodge Noriega, operations in South America associated with the war on drugs, and an operation in the Philippines to protect the Aquino government. Turmoil in the Soviet Union was already being reflected in a more military-oriented foreign policy of the U.S. Following the Gulf War, the U.S. government engages America and Americans non-stop in one substantial military operation or war after another. 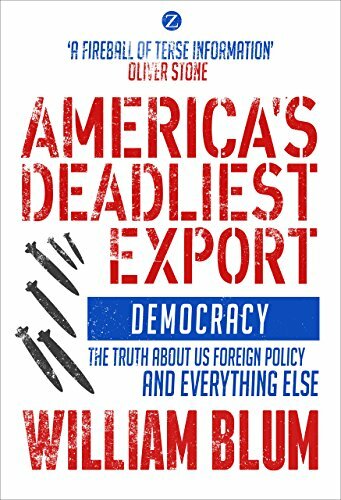 In the 1990s, these include Iraq no-fly zones, Somalia, Bosnia, Macedonia, Haiti, Zaire, Sierra Leone, Central African Republic, Americau2019s Deadlies... William Blum Best Price: $9.62 Buy New $9.63 (as of 08:50 EDT - Details) Liberia, Albania, Afghanistan, Sudan, and Serbia. In the 2000s, the Empire begins wars in Afghanistan, Iraq, and Libya, and gets into serious military engagements in Yemen, Pakistan, and Syria. It has numerous other smaller military missions in Uganda, Jordan, Turkey, Chad, Mali, and Somalia. Some of these sub-wars and situations of involvement wax and wane and wax again. The latest occasion of American Empire intervention is Ukraine where, among other things, the U.S. military is slated to be training Ukrainian soldiers. Terror and terrorism are invoked to rationalize some operations. Vague threats to national security are mentioned for others. Protection of Americans and American interests sometimes is made into a rationale. Terrorism and drugs are sometimes linked, and sometimes drug interdiction alone is used to justify an action that becomes part of the Great War of the American Empire. On several occasions, war has been justified because of purported ethnic cleansing or supposed mass killings directed by or threatened by a government. Upon close inspection, all of these rationales fall apart. None is satisfactory. The interventions are too widespread, too long-lasting and too unsuccessful at what they supposedly accomplish to lend support to any of the common justifications. Is “good” being done when it involves endless killing, frequently of innocent bystanders, that elicits more and more anti-American sentiment from those on the receiving end who see Americans as invaders? Has the Great War II accomplished even one of its supposed objectives? The Great War of the American Empire encompasses several sub-wars, continual warfare, continual excuses for continual warfare, and continual military engagements that promise Americans more of the same indefinitely. There is a web site called “The Long War Journal”that catalogs events all over the globe that are part of the Great War II, what the site calls the Long War. This site is a project of the “Foundation for Defense of Democracies”, which is a neocon organization that is promoting the Great War of the American Empire. What they see, and accurately see, as a Long War is a portion of what is here called the Great War of the American Empire. The difference is that all the interventions and sub-wars of the past 25 years and all the military outposts of the U.S. government that provide the seeds of future wars and interventions are included in the Great War II. They all spring from the same source, even though each one has a different specific character.